Dr. Forrest and Dr. Alberto met 12 years ago while completing their respective advanced specialty residencies at the University of Florida, College of Dental Medicine. 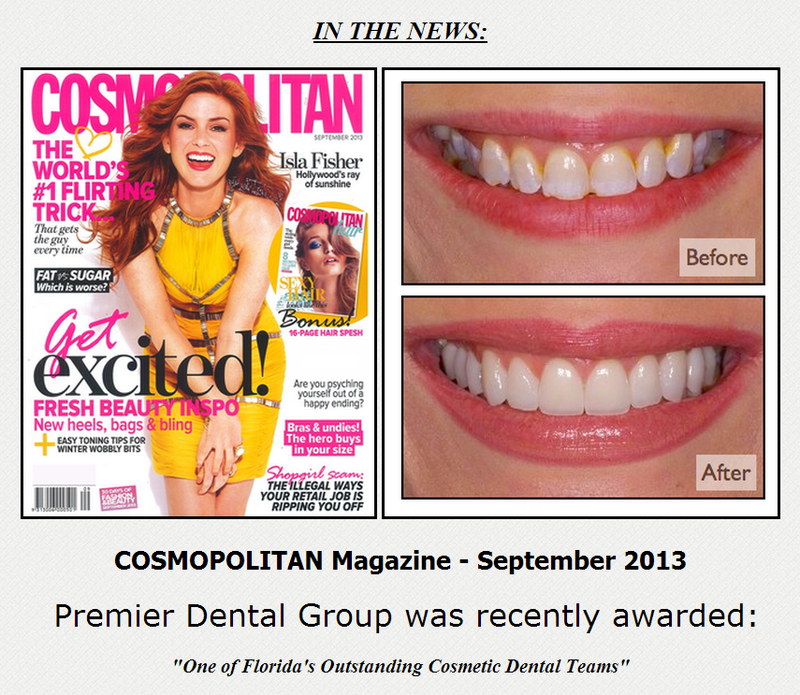 Dr. Forrest was in the Periodontics program and Dr. Alberto, the Prosthodontics program. Throughout their studies, they worked on many complex multidisciplinary cases. They realized at a very early point in their careers that together they could make a positive impact on the quality of people's lives. After completing their residencies, they became associates in the same dental group. There they helped create a team of collaborating specialists, who worked together to treat some of the most challenging patient cases. Together, they encouraged the team of specialists to treat patient cases comprehensively, thereby maximizing treatment efficiency and patient care. Patients benefit from this cohesive environment by receiving all of their dental care from one center. Both specialists were raised here in South Florida along with their families. Dr. Forrest and Dr. Alberto are fortunate to have Dr. Jacobs, Dr. Diez, Dr. Hermannsson, Dr. Lopez, and Dr. Khatami all on one team. Together they practice in a modern treatment center that comprehensively focuses on all aspects of dental care. 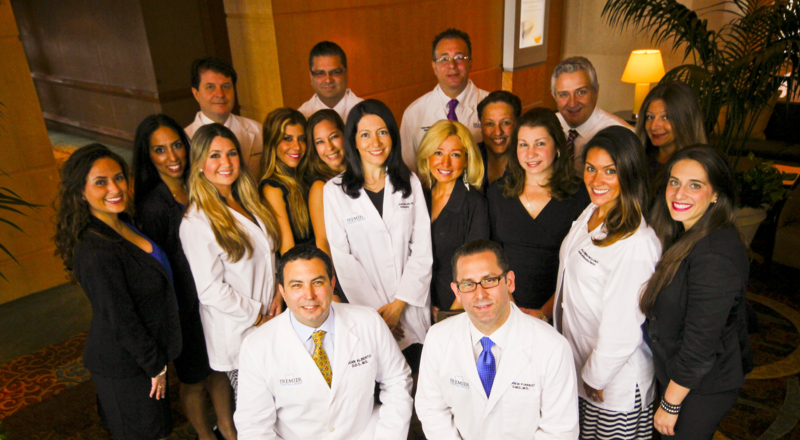 They are a team of highly qualified, advanced, specialized dentists. Their mission, simply put: Premier Dental Group is committed to providing dentistry that changes people's lives; in doing so we change our own. Our goal is to provide you with the experience and quality of care that we would want for our own families. From the inviting and knowledgeable staff to the comfortable environment and experienced dentists, you are in for a treat. We work to create a very relaxed atmosphere, where stress and surprises are not welcome. Our scheduling and financial staff will put you at ease. Each appointment is efficiently scheduled to work with your time constraints. Our treatment costs will be laid out before you, and you will be given flexible payment options. On top of this, you can count on us to work your insurance from every angle to see that you receive every penny you deserve. We are good listeners and always welcome good conversation. Here, you are family. We love to help patients begin their journey to phenomenal smiles while ensuring that they feel confident it is the right treatment for them. One of our first steps when creating your treatment is an in-depth and complete dental examination with an interview. We believe that each person is different and brings his or her own unique dental goals and needs to our office. We base our treatments off our patients' desires, and we always offer alternative options. Our doctors are always available to consult and answer any questions. Also, our well-educated staff is happy to make your choices easier. Our staff has over 75 years of combined experience, so you can count on them to know what they are talking about. Furthermore, they have come to truly care about their work and you, our patient. They all take your comfort level into consideration when helping you at our clinics. You will definitely receive first-class service that is tailored to fit your needs. It is very important to us that you leave our office smiling and able to care for those beautiful teeth we achieved together. Our oral hygiene team loves to share different tips and tricks that will help you maintain and even improve your oral health. We want you to smile freely and confidently. From the moment you step through our door, we will do whatever we can to see that you have amazing teeth for your whole life. We believe that you should receive the answers to all your oral health needs in one place. Our mouths are very complicated parts of our bodies. We strive to provide for your every oral health need at our clinics. Our staff has been trained to solve many of the most challenging problems, and we are up-to-date with the newest developments in the field. We offer you a variety of procedures that cover general, cosmetic, restorative, and implant dentistry. We will work to provide you with convenient and total oral healthcare. We are here for you whenever you need us. We are especially sensitive to your needs when you are in pain. Our doctors will personally provide excellent emergency coverage that is sure to help you through any issue. You may also be pleasantly surprised to find how easy it is to relieve pain and temporarily solve a problem until you can come into our office. Please give us a call if you have any questions or concerns about your oral health.